<< Back Fossil Otodus Shark Tooth - NEW! Fossil Otodus Shark Tooth - NEW! 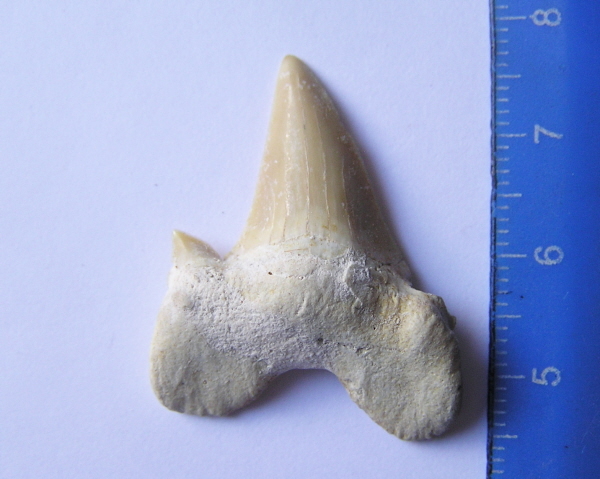 A superb, chunky Otodus Shark Tooth. The Otodus shark teeth are some of the most beautiful on earth and while not as sought after as Great White sharks in many ways they are more attractive. They are a beautiful shape with sharp but shapely points with stunning shiny enamel and packed with character. This is a gorgeous Otodus Shark tooth. The tooth even has an extra cusplet tooth at the sides of the main blade! BOXED AND LABELLED - in a professional padded box.